Valand Academy at the University of Gothenburg and the Hasselblad Foundation are looking for a person with a doctoral degree in photography or art history to fill a postdoc position. The postdoc will participate in a new research project aiming to find new ways to understand the interwar period based on contemporary photographic practices. Valand Academy and the Hasselblad Foundation have joined forces to support the development of the critical reflection of and education in photography. To this end, they are currently recruiting a photo-based artist, art historian or person with a similar area of expertise for a 2-year postdoc position planned to begin in January 2019. ‘The well-established collaboration between the Hasselblad Foundation and Valand Academy continues to generate and gather unique resources, competencies and networks and thus is yielding great opportunities for advanced research in the field of photography. 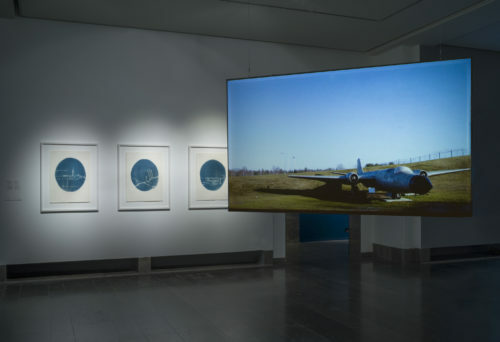 The research results are disseminated both within the research community and to the general public through exhibitions and events, and the collaboration lays a foundation for a broader discussion and reflection on the history and modern role of photography.’ says Niclas Östlind, senior lecturer at Valand Academy. The hired postdoc’s responsibilities will include involvement in a new joint project titled “Photography at the Threshold: Experiment and Social Change”, which aims to create an experimental photo history centred around photographic practices during the interwar period (WWI–WWII). The applications can focus on for example new perspectives on archival material, local and social history, photography as an alternative historical source or cultural parallels between the interwar period and the present. ‘The purpose of the project is to find new ways to understand the interwar period based on contemporary practices in both art and science. The project explores, for example, different ways of studying, writing and creating photo history. It will also deal with parallels between the interwar period and the present. Topics and genres addressed include fascism, antifascism, eugenics, ethnography, militarism, aerial photography, advertising and montage.’ says Louise Wolters, Research Manager and Curator at Hasselblad Foundation. The postdoctoral researcher is expected to contribute to the research and teaching environment at Valand Academy, as well as to the research and exhibition activities at the Hasselblad Foundation. The position also consists of 20% teaching and/or administrative duties. More information about Valand Academy here. Read more about the advertised position here. ‘The Academy Valand offers a dynamic research environment in the fields of film, photography, free art and literary composition. The photography research at the Academy utilises a clear photo-historical and curatorial approach and offers an ambitious research programme in the field of environmental studies. The Hasselblad Foundation is a non-profit foundation established to support research and education in the fields of photography and the natural sciences. It is a small institution with a research library, a photo collection and a gallery. The current research at the Hasselblad Foundation concerns issues related to photography as an experiment and social change with cultural-historical inspiration from the interwar period. In addition, the Hasselblad Foundation has a continuous focus on photography and human rights.